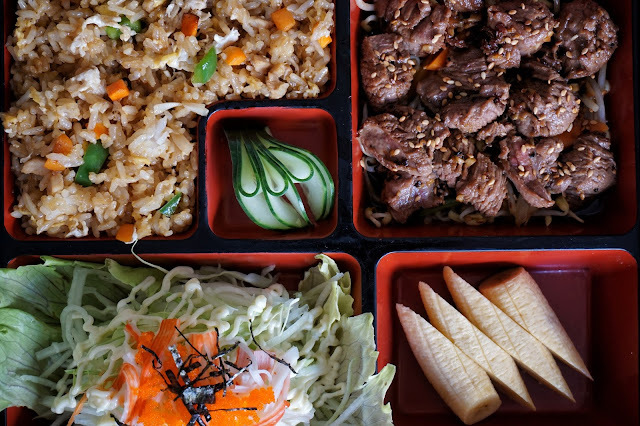 There's a new Japanese restaurant in Quezon City and it offers bento boxes and other favorites at pocket friendly prices. 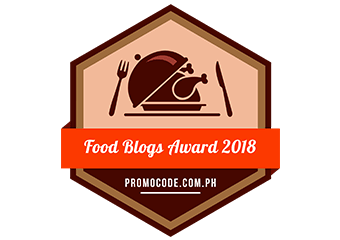 Bento & Co is one of the handful restaurants in the food complex along Lazcano and Mother Ignacia and it was one of my stops during a food crawl with some of my favorite foodies. Specializing on the usual Japanese dishes like teriyaki, tempura, yakiniku, sashimi, ramen and the like, you'd surely be motivated to create your dream bento box. 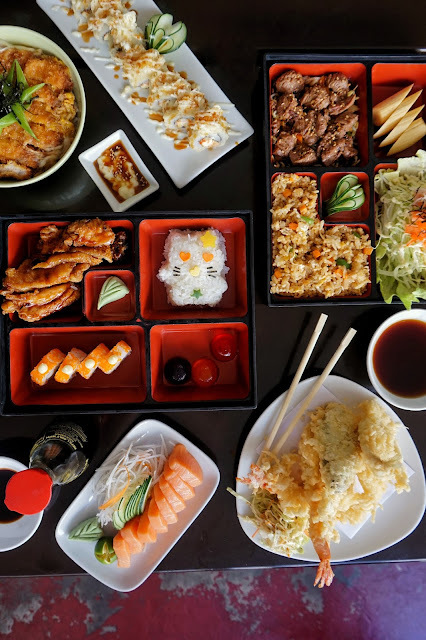 To create your own bento, you start with choosing your base from the options below then top it off with your preferred viand from its teriyaki, teppanyaki, tempura, and yakiniku viands. The most affordable bento combination is priced at PHP170 and the most expensive is PHP500. Not bad for those who are craving for a filling Japanese meal. We were served with a Set 2 base with Beef Teppanyaki (PHP220) and Set 3 base with Chicken Teriyaki (PHP175). 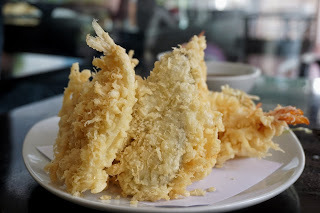 We also had Mixed Tempura (PHP200), Salmon Sashimi (PHP220) and Katsudon (PHP185). 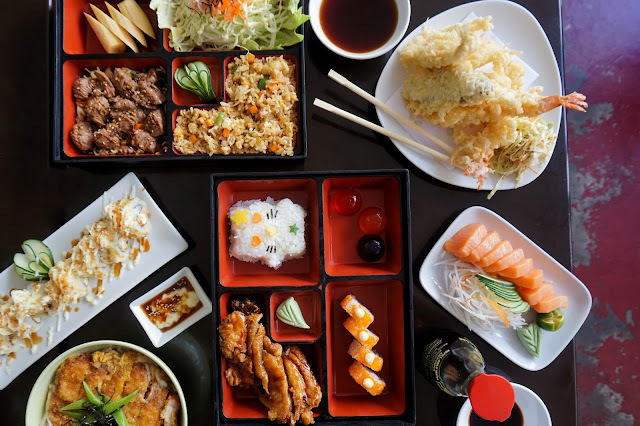 Both bento boxes are bang for the buck as it could be shared by two light eaters who wish to try a few more viands in the menu. There's nothing special about the tempura but it's nice to see that they have more than ebi tempura. 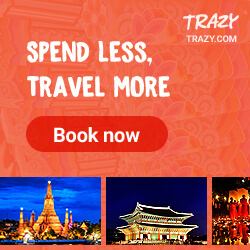 And you'd know that there will always be something for the kids to enjoy. 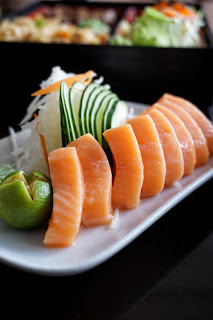 An order of salmon sashimi includes 8 thick slices of fresh salmon. Though good, I would have liked it better if it was cut slightly thinner or smaller as I found it too big to be enjoyed in one bite. But the meal that I enjoyed most was katsudon. 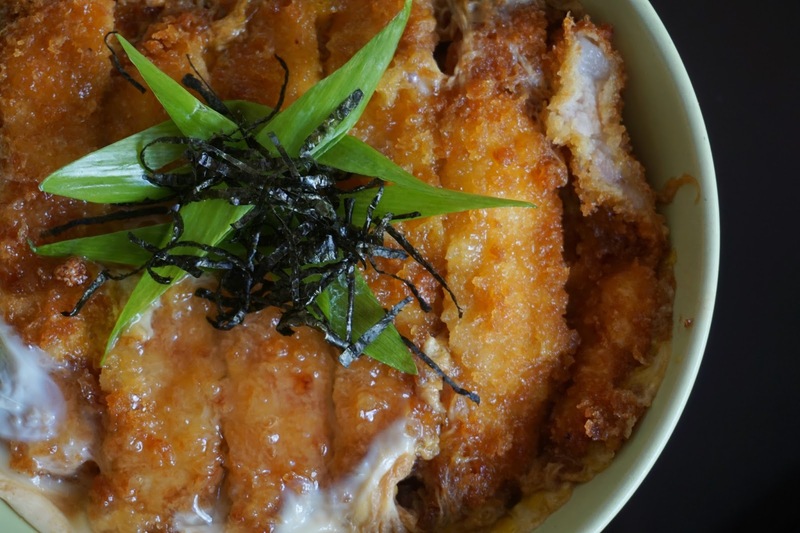 The bowl of rice topped with lightly breaded pork lightly glazed with sweet sauce is just perfect for those days when you need a quick and easy meal. 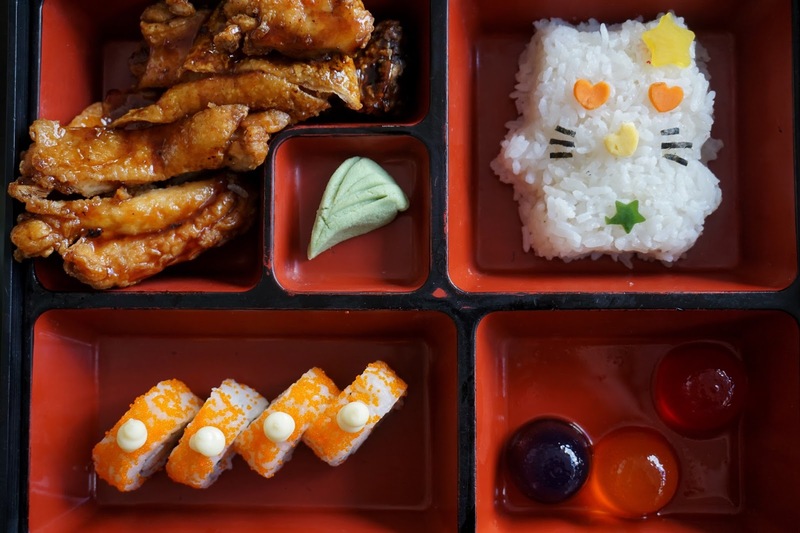 If you're in the mood to create your own bento or looking for a quick meal around the area, then it's worth visiting Bento & Co.
Bento & Co is located at 2 Lazcano corner Scout Magbanua and Mother Ignacia, Barangay Paligsahan, Quezon City.